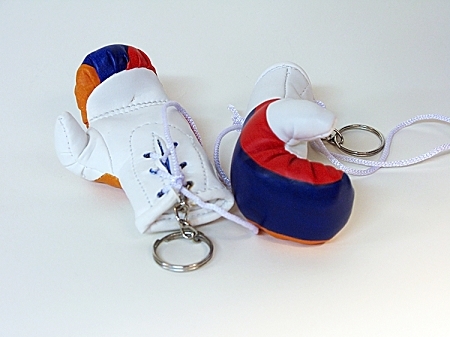 Show your pride in your Armenian heritage with this patriotic boxing glove! This 2.5-inch stuffed glove is decorated with the colors of the Armenian flag and is perfect as a keychain or dangling from your rear-view mirror. Gloves are sold separately.